I’ve blogged about how challenging it has been to help Tiger learn to read. He’s making progress and I’m thankful that one day he will read on his own. He’s just on his own time table, which is perfectly fine. However, it means that I have to listen to him sound out the same words about a million times. Honestly, it makes me a little bit crazy. But the progress is so very worth it! I always thought that teaching my kids to read would be easy. I would teach them phonics; we would sound out words together; they would put these words together in sentences; then they would be reading on their own. Oh my goodness. I was so. very. very. wrong. Teaching reading is a trial by fire. I absolutely do not enjoy it. I cringe when it’s time to work on reading skills. I tried a few programs with Curly and somehow she started reading on her own. I thought I was some type of reading teacher ninja. Then I tried to teach Tiger to read and that’s when I thought I was a dismal failure of a home educator. In trying to find something, anything, that would help Tiger read (and would help me teach him without totally losing my mind) we have found a reading program that we really love. It’s helping Tiger make slow but steady progress and it is also allowing Bee to tackle the challenge of reading and start to soar. These two kids are vastly different learning styles but this program is working well for both. Teacher’s Manual – This clearly outlines each lesson with an explanation of the phonics concept being taught, the games to be played, and any extra teaching tips. Word Cards – There are flash cards for common words that illustrate the various concepts taught in each lesson. These cards are meant to be used as a constant source of review to help kids go from sounding out a word to remembering the word to be able to recognize and read it on sight. Phonogram Cards – There are also phonogram flash cards which contain all the letters and the phonograms taught in each level. We use these daily to review the sounds of each letter and phonogram team. Fluency Pages – These are printed pages that contain lists of words, phrases, or sentences for extra practice to encourage reading fluency. Each lesson has lists of words that utilize the phonogram team or letter sounds taught in that lesson. Then there is a section of mixed review that contains words from the new lesson as well as words from previous lesson. The next pages contain phrases of words to help students start to read several words together and remember context. The last sections contain sentences that are broken into smaller sections to help the student begin to remember and put together all the words that make up each sentence. Games – Many of the lessons have simple paper games to give more reading practice. Some of these have words printed on cards shaped as bones that are fed to a monster or finding cards of socks and matching the pairs to read the short phrases. Readers – Each level contains multiple illustrated readers that have short stories using only words taught through the lessons. Some of the lessons are to simply read and discuss the stories in the reader. They are a very integral part of the program. Letter Tiles – These colored tiles are meant to be magnets and used on a white board (or a cookie sheet at our house). They are used to spell out words one letter or letter team at a time. Progress Chart – The levels come with a progress chart that can be used to track each lesson completed. We put stickers on the space for each lesson on our charts so we can visually see progress in the program. Incremental – This program is very incremental in slowly introducing only a few letters or phonograms per lesson and then providing lots of practice for each new concept. The lessons slowly build on each other and later lessons use information from previous lessons and build out new concepts. I love how the lessons slowly progress in difficulty while providing lots of practice. 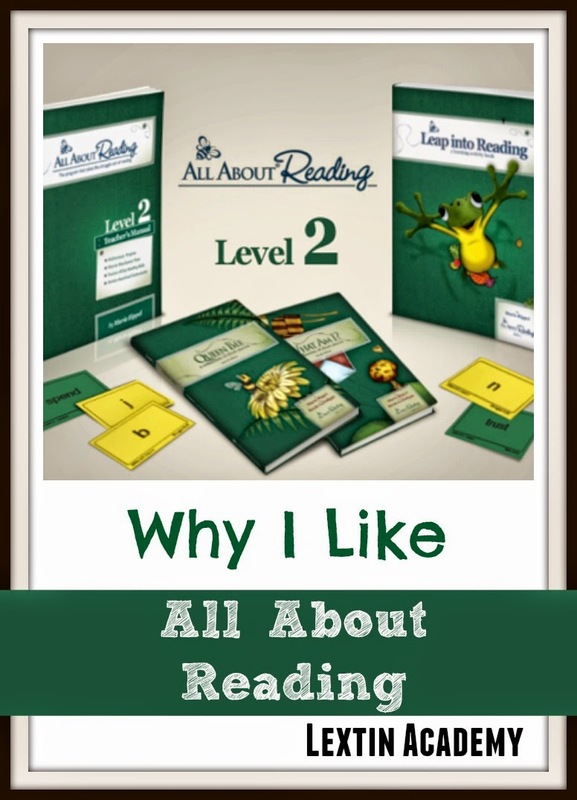 Review – Through using the word cards, phonogram cards, fluency pages, games, letter tiles, and readers the child reviews every concept in multiple ways. I have a child who desperately needed review during the reading process and this program delivered multi-sensory review in ways that did not become overly tedious. Controlled readers – These readers do not introduce sight words that kids do not yet know. They only contain words that the child can decode. This meant that my kids could experience the success of reading a story without my help. Games – Though the games are very simple paper-based games, my kids enjoyed having a break from reading pages of words or going through the stories. These were a fun way to practice concepts in new ways. My kids looked forward to the simple activities. Easy to use – The lessons in the manual are clearly-laid out and have great teaching tips. It’s easy to pick up the program and being using it right away. It doesn’t require extensive planning and reading ahead to be able to go through the lessons. And if you don’t know the details of phonics yourself, it’s easy to learn alongside your kids with the clear explanations. Logical progression – The lessons begin with teaching letter sounds of the most commonly used letters. Then they progress to teaching common letter teams and the most common reason why a silent “e” is used at the end of words. The program is presented in a logical order with gently progressing difficulty. Does not require writing – This program is only a reading program. A child does not need to be able to write to complete the lessons (that’s why it has letter tiles and games). This works well for a child who is struggling with either reading or writing because the program seeks to address only one skill. Flexible pacing – A lesson can be completed in a day or in a week (or longer). There is not a set schedule for teaching the lessons and it’s easy to move more quickly through sections that a child understands while slowing down and adding more review in the sections that are more challenging. Watch for my post next week about how I make All About Reading work for me! What have you used to teach reading in your homeschool? I’m an affiliate with All About Learning, so if you’d like to learn more about this spelling or reading curriculum I’d appreciate you clicking on the link below.